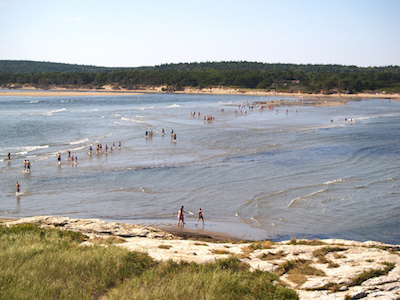 Popham Beach is one of the longer stretches of sand beach north of Portland and is a popular visitor destination. A state park borders the south side of the Kennebec River. The beach itself is one of the more runnable beaches on the mid-Maine coast, owing to its length and firm sand at times. At low tide, one can run out to Fox Island, but be careful not to get caught when the tide comes in! The most scenic road running in this area is the ~2 mile loop out to Fort Baldwin and Hunnewell Point. We’ve mapped a 7.2 mile loop incorporating Rt. 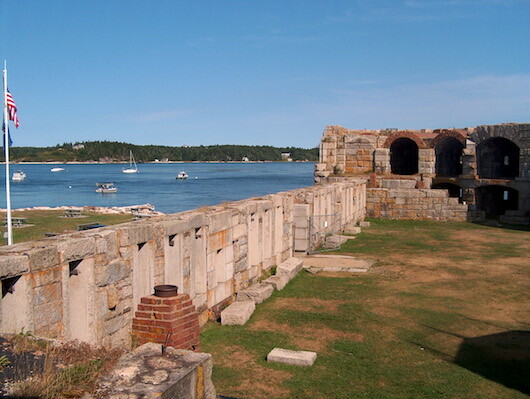 209 through Popham Beach state park. The road goes in and out of water views, and there are also some interesting grassland and march views. We recommend combining sections of the road and beach. Note: Sections of Rt. 209 don’t have a sidewalk or shoulder, but there’s not usually too much traffic.